Interesting article on the impacts that the war on coal is having on United Mine Workers of America (UMWA) members. 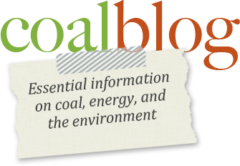 IrishCentral sits down with Phil Smith, spokesman for the UMWA to talk about job losses, the impacts of lost jobs on coal mining communities, and the callous disregard of the EPA and green industry as they press for more closures. Environmental activists living off of trust funds, like Robert Kennedy Jr., don’t know what it’s like to survive on a paycheck to earn a living.